New Delhi: With the domestic black money window in operation for nearly a month now, the Central Board of Direct Taxes (CBDT) is likely to issue a set of fresh frequently asked questions (FAQs) in the light of numerous queries and representations like considering granting immunity to declarants from other fiscal laws and extending the deadline for payment of taxes till the end of the fiscal year . These queries, doubts and demands of the traders, businessmen and others were made known to Income Tax Department officials who are holding multiple awareness campaigns and sessions across the country to popularise the one-time compliance window called the Income Declaration Scheme (IDS). A high-level meeting to discuss these issues and challenges facing the IDS was held here this week under the chairmanship of Revenue Secretary Hasmukh Adhia where senior CBDT officials and various regional Principal Commissioners of Income Tax, nominated to receive declarations in this regard, participated via video conferencing. During the city sessions, officials said, the trade bodies and their representatives told tax officials that the rate of penalty on the assets declared under IDS is "high" and it should be brought down from the stipulated 45 per cent to 40 per cent. They also suggested that the valuation of the assets should be done on the basis of the year of acquisition of the untaxed asset, which is supposed to be declared under the IDS. IDS rules stipulate that the fair market value of the asset to be declared under the scheme will be as on June 1, 2016. It would be deemed to be the undisclosed income. The trade bodies and others have also sought immunity from proceedings under the Income Tax Act and the Wealth Tax Act in the IDS, from other financial laws like Companies Act, Excise Act, Service Tax laws, VAT laws and against action from market regulator Sebi (Securities and Exchange Board of India) once a person declares his black assets and funds under the IDS. "They said they fear that once a person makes a declaration under the IDS, they will be visited by other tax collection agencies as the Acts that they enforce are not enlisted under the immunity section of the IDS," a senior official said. Some others have sought clarification with regard to the privacy and confidentiality clauses while some have sought more clarity on the procedures of declaration, the official said. Some trade bodies want time for payment of taxes and penalties under the IDS to be extended upto March 31, 2017, as against November 30 this year as they are facing "liquidity" issues. "Each and every concern has been duly noted and discussed by the Department of Revenue. It is expected that a fresh set of Frequently Asked Questions (FAQs) would be published by the Central Board of Direct Taxes like those were published when the four-month window got activated on June 1," the official said. The official added that in order to ensure clarity on the issue of valuation of the asset under declaration, the CBDT has recently published a list of "registered valuers" on its official web portal. An explanatory circular and first set of 14 FAQs were released by the CBDT in May, well before the window got activated in July. Under the scheme, income as declared by the eligible persons would be taxed at the rate of 45 per cent which is 30 per cent plus a 'Krishi Kalyan' cess of 25 per cent and a penalty at the rate of 25 per cent. The scheme was announced by the government with an aim to pump out black money from the domestic economy. 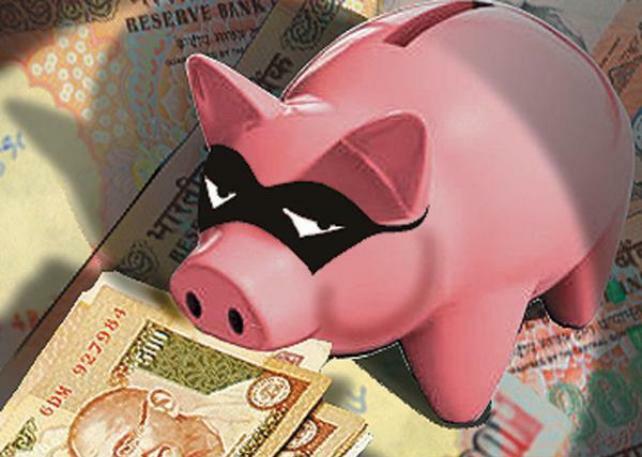 Earlier, government had come out with a similar scheme for Indians holding undisclosed income abroad and a total of Rs 4,147 crore of undisclosed wealth was declared under it.